You should use R=115 ohms and 2R=230 ohms to get 0.3V from "010000" (black) on the input and 1.0V from "110000" (white), the remaining "001111" being left for color modulation at high luminance. You can see I used 120 and 240 ohms resistors. That's incorrect, but it only affects slightly luminance and saturation , not hue, so the resulting picture looks fine. 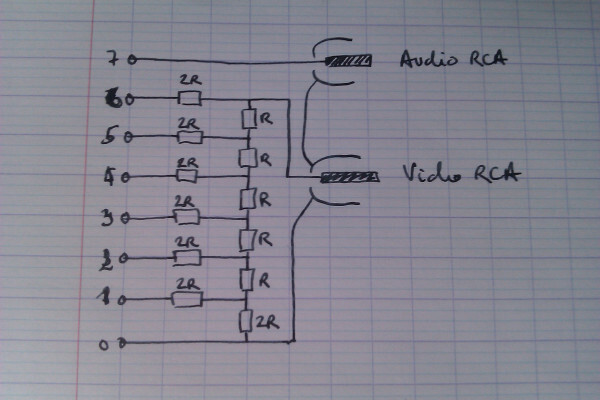 I attach some VHDL code, for the PAL encoder and the audio DAC. You should use a 64 MHz clock in the PAL encoder : you could adapt the code for 32MHz, but then you'll get heavy dot crawl. This is great, does it work for NTSC too or just PAL? BTW, the schematic attachment isn't showing. As the theory is the same, it should work for NTSC, but you'll have to change the timings: the vertical/horizontal sync (not included in the code) and the color clock (included in the PAL encoder) are all different. More precisely, you should change the constant 145 281 to 117 285 to get colors (thanks to the 3.579545 MHz color clock), and adapt the burst phase (U=+1,V=0 ?) to get the right colors. You might want to change the timings of the colour burst as well. I have not tested any of that, but I'd be glad to know if this works. If I can find the time, I'll build a sample "color bar" project that works on PAL and NTSC. For the pictures: I used twitpic, which obviously was a bad idea -- I'll edit the post. You don't miss much, though : it's a plain R-2R ladder for bits 1-6 to the video RCA, and a wire from bit 7 to the audio RCA. Here it is -- that was quicker than expected. 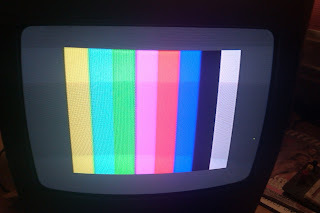 Compile this, plug your tv_output wing in A8-A15 and enjoy 8 color bars in the middle of the screen: yellow, cyan, green,magenta,red, blue, black and white. And overscan is grey. I found why my PAL implementation did not work (I swapped red and blue in the uv tables indices...), so I fixed it, and built a quick and dirty NTSC implementation from that. PAL image is ok although not that good: low sat on yellow and cyan, some dot crawl. NTSC is poor, although saturation is better: horizontal stripes (interference between h sync and color carrier), strong dot crawl (although you might not notice it because it scrolls vertically really fast) -- you might make it better through adjusting the color carrier clock. More bits ? I'll put something on the playground when I find the time. This is really great, we just put all the information in this thread up on the Papilio Playground and I'm going to do a blog posting about it. Hopefully someone will get a chance to make an EAGLE file for this awesome Wing. Looking closer at the schematic I realized you were accomplishing this without a transistor! Wow, awesome work. I put together a quick Wing design in EAGLE. My question is if pin 0 is ground? My question is if pin 0 is ground? For the sake of simplicity in my prototype, yes. But it shouldn't be, there is a ground pin right next to it. If you aim a quality, you should definitely use pin 0 as a 7th bit for the DAC. Still, that would leave room for ambitious B/W projects (32 levels of grey only with the 6 bits prototype) or space for better color implementations. So, "professional" wings should definitely use this 7th bit. And you might want to add a low pass filter on that audio pin as well ! EDIT: looking at the eagle files, I can see you dit add a low pass filtre -- great. Slight correction : the last resistor (the one connected to ground) is a 2R=230 resistor. I found some SIL R-2R networks that might make a wing easier to make, but I doubt you could find the exact value for R -- you could use a lower value, and add a series resistor. Ok, I just updated the last message with the schematic and assembly drawings. I did indeed add a low pass filter. So it sounds like it would be better to connect the shield of the RCA jack and the gnd side of the low pass filters cap to gnd instead of bit 0? Ok, how does this updated schematic look? Looks fine to me on the video part. Thinking again, I have strong doubts on the audio part: 3.3k seems really high. If the TV impedance is 75 ohms (I did not test it, but that's the value for the video), then you are dividing voltage by 45 ! 330+47nF would seem more reasonable, then. Those are the values I've been using on the Audio Wings for some time now, the audio output seems to be really good to my ear. I've piped music out of the Audio Wings and it sounded like CD quality to me. 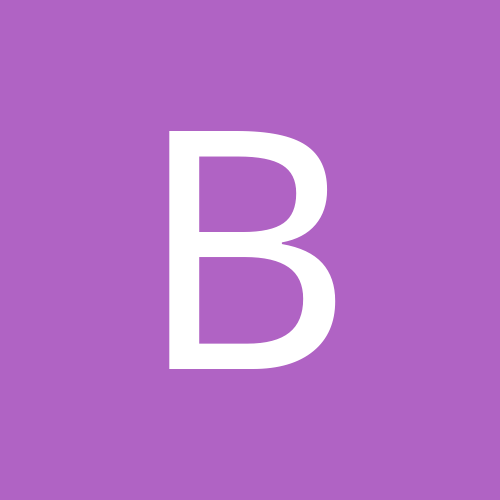 No doubt about it in sound oriented hardware, such as earphones or computer speakers, but the input impedance of the TV might be different, though. From what I found after a quick Google search, it seems this is in the kOhm range, so 3.3k is not that high. Ok, I see, yes I've only used it with computer speakers. We can modify the value if we have to once we've done more testing. Oh, one more thing. I want to build one of these on a protoboard and record a video of it in action. The color bar will be awesome, but is there a bit file for anything else I can show? I just uploaded the design to BatchPCB and ordered a board. I'm still working on my seller status but once I have it setup I'll make it available for purchase and update here. An idea about the placement of the RCA jacks: I understand you don't have enough space to have them pointing out, but why not put the two of them on the same side ? you'd free space for the wing next to it. And, looking at the board, I see that the input pins are reversed -- that's not a big issue, of course, but you'll have to change the code a bit to get it to work. Jack : I added a 1k series resistor for the audio to limit the current, as there was lots of interferences between audio and video. Sound volume is fine (I had to turn it down a little), so the 3.3k resistor of your low pass filter should be just fine. Excellent! I will try to test this out today. BTW, I got the seller permissions sorted out at BatchPCB and anyone can now order this design for $8. Yay! 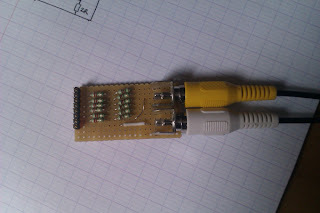 I got a prototype board built this weekend and I connected it to a tv, unfortunately I only have NTSC tv's but I was at least able to see the Papilio image flickering across the screen! Any possibility of getting a NTSC version, I want to get a video of this so people can see the coolness. I've never heard of this being done with just resistors, very impressive Ben. 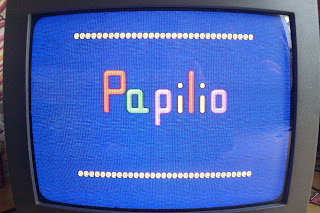 I only have NTSC tv's but I was at least able to see the Papilio image flickering across the screen! Any possibility of getting a NTSC version, I want to get a video of this so people can see the coolness. I've never heard of this being done with just resistors, very impressive Ben. About the 'resistor only' : I've seen quite a few on the internet, built around pic or avr. They are of course very limited, but that's where the dogs magic comes into play. In my opinion the major breakthrough is the absence of external oscillator for the color carrier. Ok, I just did some more testing and I can hear the music just fine, I can see the Papilio screen with the PAL release but it is not in color and it keeps moving. Any possibility of getting a NTSC version, I want to get a video of this so people can see the coolness. I've never heard of this being done with just resistors, very impressive Ben. 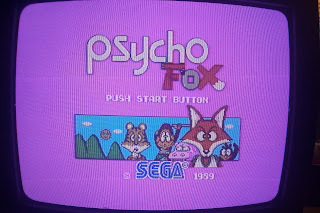 I implemented a pal/ntsc switch on my sega master system. can you try this one ? it's for 500k, and the TV signal is output on C8-C15. BTW, I corrected the NTSC color carrier frequency (I originally got my calculations wrong), and the image is much better now. Excellent! It works! I just tested it out and it looks good! I will try to post a video tomorrow. Check it out! Youtube video recorded and added to the Wing Playground project page.